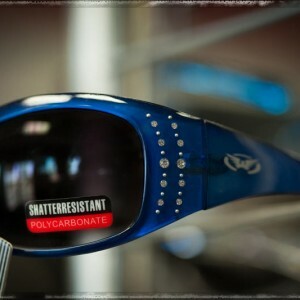 Protective eyewear is essential for safe riding and required by Arizona law. At Renegade Classics, we offer over 120 different styles of riding glasses and goggles by Wiley-X, Eyeride, Global Vision, Maxx and KD’s. Many are priced at $9.95 to $19.95. Choose from smoke, amber, high definition and clear. 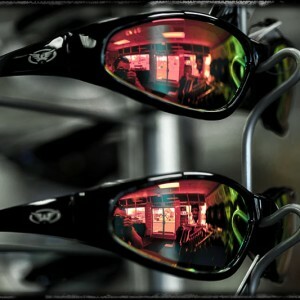 Our premium performance eyewear from WileyX and Eyeride offer polarized, light-adjusting and multiple-color changeable lens styles ($24.95 to $139.95). 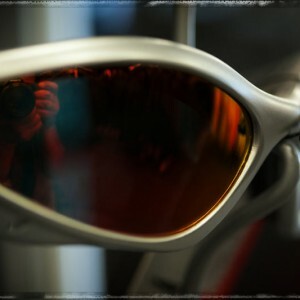 We have riding glasses that fit over your prescription glasses and offer prescription riding multi-lens eyewear starting at $134.95 with two-day prescription turn-around. 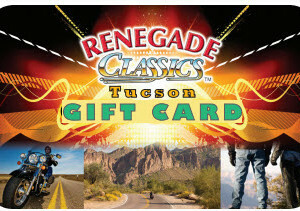 See better for a safer ride at Renegade Classics.